Vertical Video. 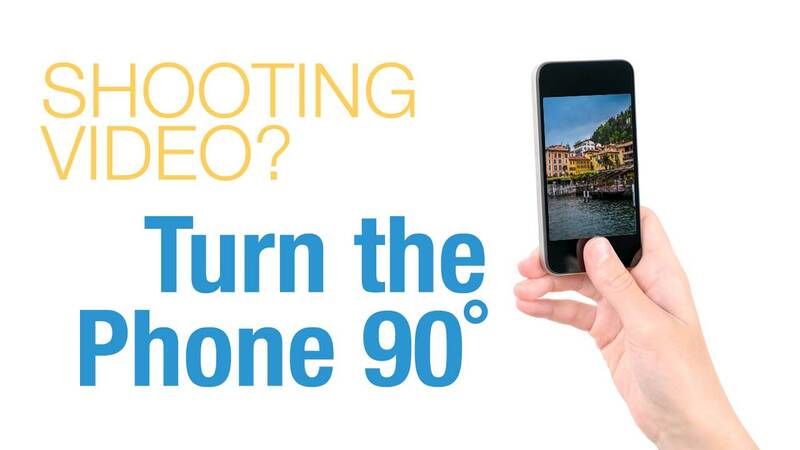 Unless you’re hanging a television set in portrait aspect ratio (think digital signage) there’s likely no reason to shoot this way. Video is a panoramic medium (embrace it). Apparently it bothers other people too. Perhaps we can all share this movie with a few other folks who could benefit from watching. Just a little light-hearted humor for your enjoyment. These days probably 35% of all video is produced and consumed on a phone or tablet. These are both horizontal and vertical media (embrace it). No, they actually aren’t. All video players for these apps (other than the camera phone app itself) plays back video in landscape mode. Yes Richard, you are absolutely right. In fact, by allowing you to record in vertical, but not be able to see in vertical is why I’m very unhappy with Apple on this matter. Well, the audience that needs to hear the message needs to hear ‘sideways’ and not ’90 degrees’ — one is familiar, obvious, and simple. The other only seems simple for those who have no trouble with geometry, abstract orientations, numbers and measurements. Remember, these are often people who never consider the options.